Parasound Products is updating its Halo JC 3 with the Halo JC 3+. The upgrade includes several enhancements but features the original chip designed by John Curl. Parasound, a leading manufacturer of high-end audio electronics, has introduced an improved version of its Halo JC 3 phono preamplifier. The new Halo JC 3+ adds independent load adjustment for moving coil cartridges, as well as enhancements to the dual-mono phono module circuit boards, and increased power supply capabilities. The JC 3+ circuit comes from the designer of the legendary Vendetta phono preamp, John Curl. About Parasound: Founded in 1981, Parasound Products, Inc., is a privately owned U.S. company that specializes in providing affordable audio components to the critical listener. 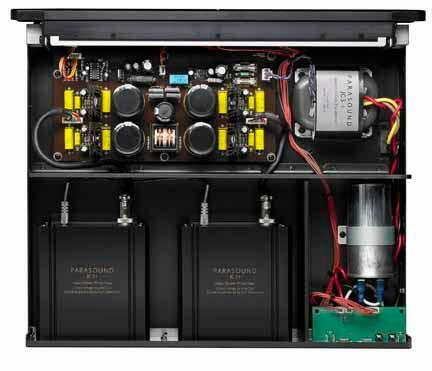 Parasound's products are available from quality audio/video retailers, and select custom installation specialists. For more information, visit www.parasound.com or call 415-397-7100.